Modern Agriculture visited Dwayne Stewart, General Manager of BC Hop Co. and Valley Hops, and the owner of Ravens Brewing in Abbotsford last year as they described the relationship that sprouted from a common passion for quality, local ingredients and products. We revisit them a year later after the second successful BC Hop Fest on October 1st to see how business is brewing. The team at Ravens Brewing crafted an experimental SMaSH brew (single malt single hop) using Valley Hops’ own trademarked Lumberjack hop variety which was presented at a hop selection event earlier this year. SMaSH brews allow the true taste of a new hop variety to be felt on the tongue. 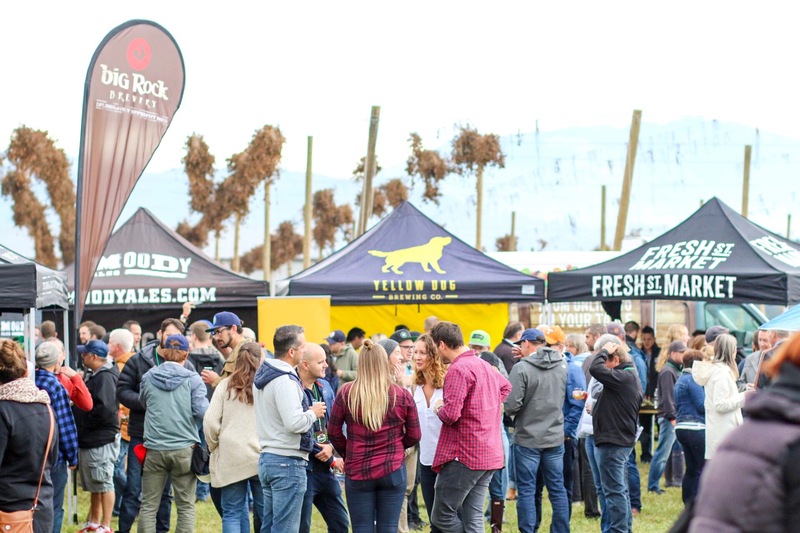 Ravens Brewing sources a large portion of their hops from farms in the Fraser Valley and they attended the BC Hop Fest, organized by BC Hop Co. and held at their Cole Road farm where over 30 breweries presented fresh-hopped beer concocted over the month of September. Head brewer, Nick Fengler, who started with Ravens Brewing when the company launched in 2015 describes the company’s commitment to using locally sourced ingredients, evident in their Ground to Glass series of beers. Local hops means fresh quality and unique taste that craft breweries are known for. The 7,000 square foot facility in Abbotsford has plenty of room to expand, and it seems they will need it—the craft brew business in general is doing well, and farmers are hopping to keep up with demand! Ravens products can be found throughout BC in liquor stores and fine restaurants and pubs, as well as purchased at their Townline Road location. The time frame from empty tank to product in the bottle takes a month or two, and the vibrant flavours of the hops and subtle differences due to terroir can be appreciated by those with a discerning palate. 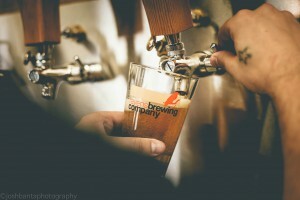 Ravens Brewing attends 10-15 events a year and the BC Hop Fest is certainly a brew-culture destination quickly gaining in reputation and popularity. The festival features wet-hopped beer which can only be brewed at harvest time. The day began with a BC Hop Growers Association Field Day for growers who learned about best practices for end of season clean up and putting hop yards to bed for the winter. Growers also toured the new BC Hop Co. state-of-the-art processing plant. The results that Stewart got from this year’s crop exceeded expectations—at the top end of the Alpha Acid scale for their Chinook, Cascade, Centennial, Cashmere and Lumberjack varieties. The traits of the Lumberjack include mango notes with refreshing citrus and notes of pepper at the finish. 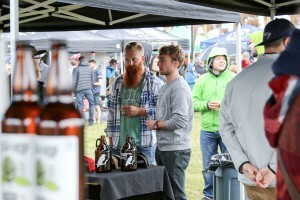 The BC Hop Fest is unique in that it’s held on the Stewart’s family hop farm where hops still hang from bines. This year’s festival goers were entertained by local bands Rev and Side One, and their appetites satiated with fine beer and good food. It was the perfect event to usher in the BC Craft Brew month with a hearty “Cheers” from attending dignitaries. 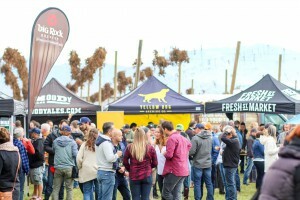 The event showcased many breweries from the Fraser Valley as well as masters from Vancouver’s Eastside, BC’s interior, and Vancouver Island. Food trucks fed the throngs, and featured fare like “hop-eroni” and bratwurst from Lepp Farm Market, and hops chocolate from ChocolaTas—all created with hops—added to the party atmosphere. The 2016 People’s Choice Awards were presented at the end of the day. Yellow Dog Brewing from Port Moody took first place, with Field House Brewing of Abbotsford taking second, and Fuggles & Warlock of Richmond rounding out the group with the third place trophy. 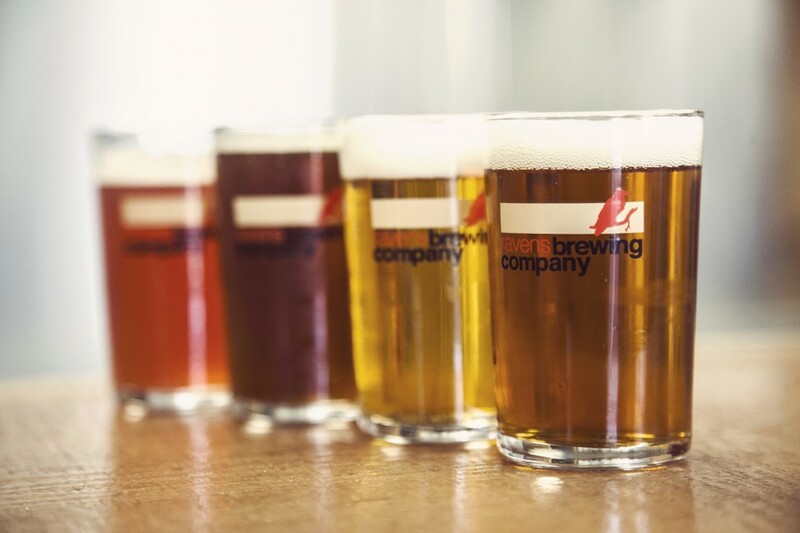 All of the winning breweries use hops from BC Hop Co. 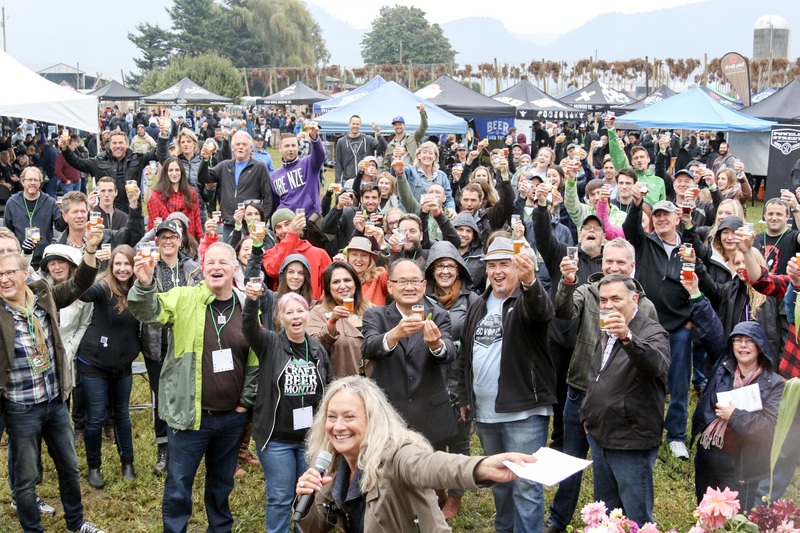 The BC Hop Fest is an opportunity for brewers to showcase their craft and create something special with growers, building on their relationship and planning future collaborations. For beer connoisseurs, this is a chance to meet and ask questions of hop farmers and brew masters. 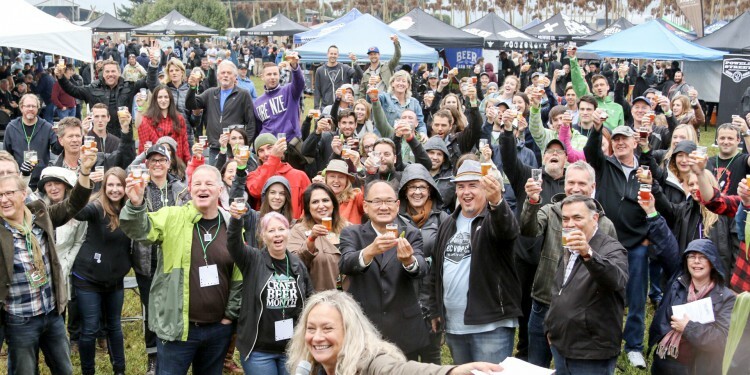 The second year’s crowd was double the first with over 1,000 craft brew enthusiasts tasting, talking and savouring the result of a year’s hard work in the fields. Tickets for this harvest celebration are best booked in advance and are only available online at BCHop.ca, so mark that calendar for next year! BC Hop Co., Valley Hops, and Ravens Brewing are just a few of the stars that bring attention to the BC hop and brew culture, and BC Hop Fest 2017 will be the place to shine.